We have a new selection of Easy-to-Stitch embroidery kits from Martha Stewart Crafts to share with you today. These embroidery project kits make it easy to create hand-embroidered items, including a canvas tote bag, coordinating accessory bag, and pillowcase set. You'll find them in the Hand Embroidery Kits section of the store! 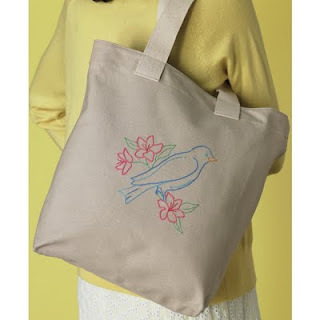 You can make this hand-embroidered Bird Tote Bag, perfect for holding personal belongings, bringing to the market, or storing your latest craft project. Each kit includes the item or items to be embroidered, one needle, presorted cotton thread, easy instructions, and an iron-on alphabet for optional personalization. The textiles are pre-printed with the design, so they're ready for you to start embroidering right away. 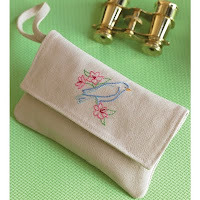 The Bird Accessory Bag is a nice embroidery kit for beginners just getting started in hand stitching. I think it's a good idea for beginners to start with smaller scale projects to experience some quick wins and build confidence. The smaller size textile & design makes it easier to handle and quicker to stitch! 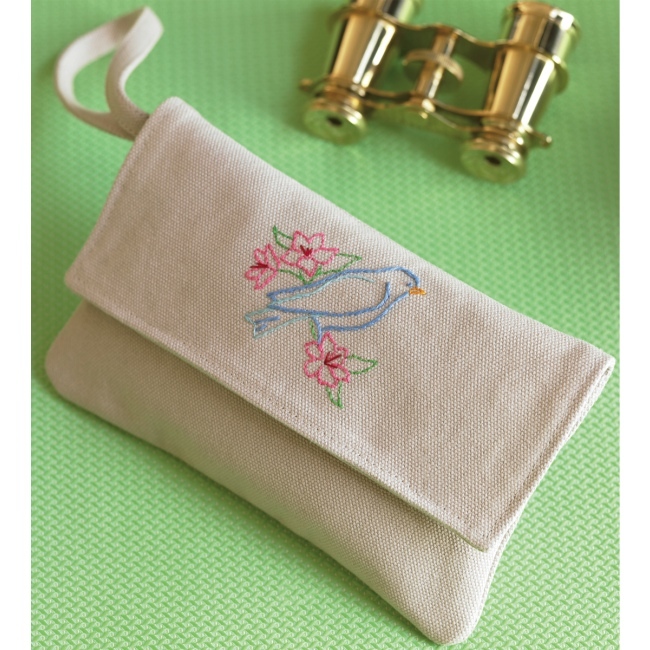 If you're looking for handmade gift giving ideas, the hand-embroidered bird tote & coordinating accessory bag would be a lovely gift to give a friend for a birthday or holiday. The Flowers Pillowcase Set includes 2 ready-to-embroider pillowcases, presorted embroidery thread, needle, and easy instructions. 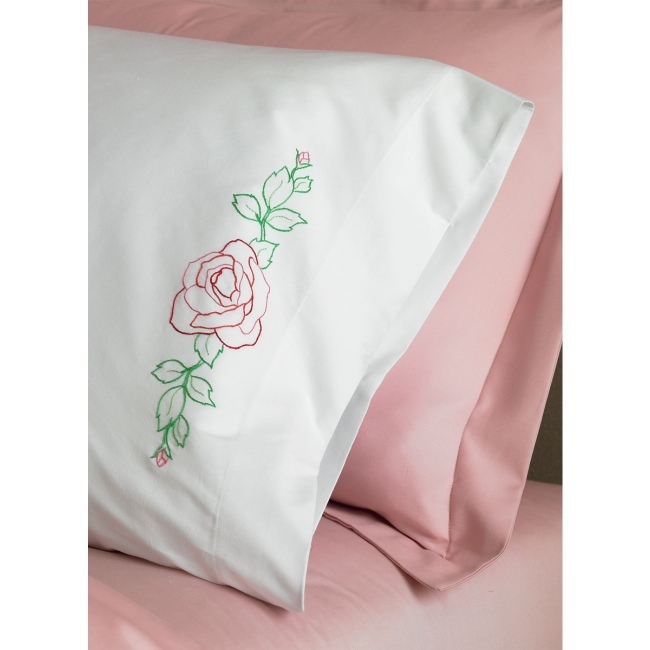 Add a creative element to any bedroom with pillowcases hand embroidered by you! The process of creating something with your own hands adds a unique story to everything you make. Many of my best memories come from times when I was making something for someone. If you always wanted to make your own hand embroidered items, these kits make it easy to give it a try! Visit the Embroidery Kits section for all the details on these kits and to see our complete selection of embroidery kits for beginners and experienced stitchers too. Weekend Kits is dedicated to bringing you the best & most modern selection of DIY Craft Kits on the internet. Our goal is to help make crafting convenient, easy, and most of all FUN! Stop by today and be ready to create something new on your next Weekend at Home. Join us on our new Facebook page, where you'll be the first to hear about new product arrivals, promotions & giveaways. Thanks for visiting the Weekend Kits Blog.